Jenny D. Baysinger | Associate at Mayall Hurley, P.C. Ms. Baysinger’s practice focuses primarily on litigation, in a wide variety of contexts including insurance defense, real estate disputes, ADA defense, personal injury, and employment law. 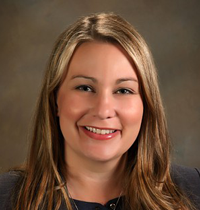 As a former prosecutor, Ms. Baysinger has substantial trial experience and is able to effectively advocate for her clients throughout all stages of litigation. She has tried both civil and criminal trials to verdict and understands the nuances of the legal process. Throughout her career, Ms. Baysinger has represented clients ranging from banks, large corporations, family-owned businesses, governmental entities, insurance companies, and individuals and appreciates the varying needs of each. Ms. Baysinger is committed to finding efficient and cost-effective solutions best suited for each unique client. In addition to litigation, Ms. Baysinger also has experience acting as outside general counsel to public and private entities. Ms. Baysinger previously served as the primary responsible attorney for Clery Act, Title IX, Family Educational Rights and Privacy Act (“FERPA”), and Health Insurance Portability and Accountability Act (“HIPAA”) compliance for a private post-secondary institution. Ms. Baysinger also participated in consulting services for various governmental and quasi-governmental agencies in connection with all phases of municipal activity, including regulatory compliance, contract disputes, and entity obligations under the Brown Act.